Hey everyone, today I have a special treat for you! 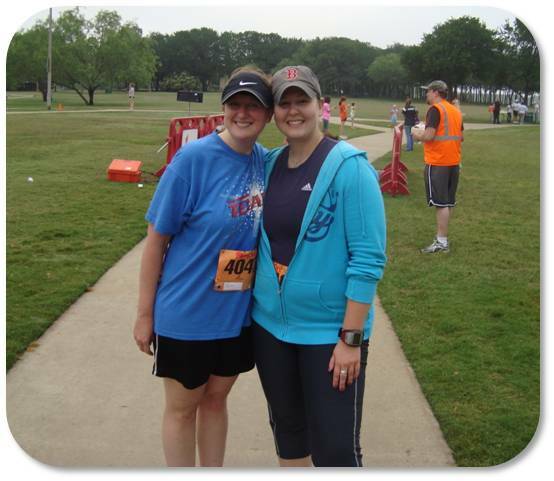 My good friend Alanna recently started Couch to 5k and I asked her to share her tale. I’m so proud that she took this step and can’t wait until we have the chance to run together. Please enjoy her post and make sure to leave some loving! So, I recently took up running. As a woman of size my entire adult life and most of my childhood as well, taking up running was one of the least likely things I could have imagined myself doing. I was a fencer in my teen years, and since age 24 I’ve been dancing regularly, but running? Clearly for masochists and fitter people. Alanna rocking out at a recent dance show, little did she know this pose was going to prepare her for her new running career! I was inspired to run first and foremost by a friend who was a non-runner (though an avid hiker and no slouch in the fitness department) up until February of 2011, when she started training and turned herself into an unapologetic half-marathon junkie. Her passion was and is tremendous, and she had been preaching the gospel of running to me throughout last summer. “You’ll love it,” she enthused, “you should see the races: all sizes, all ages.” I was skeptical. Finally, at a get-together in late September, the subject came up again. Seeing her physical and emotional satisfaction had started to intrigue me, and I finally asked her how she started training in the first place, anyway. “Couch to 5k!” she exclaimed, and proceeded to fill me in on how an iPhone app had started everything off. They make one for Droid too, thank goodness. I promised to look into it, nothing more. “You’ll see,” she promised. Back at home, I spent what might become the most important $2.99 of my life and purchased the app for Droid. The first workout had jogging intervals of only 60 seconds, with 90 second rests in between. Even I could hack that, I thought. Surprisingly, my husband wanted in, and just as surprisingly, I was game to have him along. I usually like to sweat my balls off in private, but this looked unintimidating enough for me to agree to the company. We went for our first 30 minutes session. It was incredibly sweaty, huffy, and puffy, but we both made it. My natural jog pace is pretty reptilian, but I decided to embrace that in the interest of not over doing it and possibly causing injury and/or loathing of the enterprise. My husband came along the whole first week, but after our 3rd session he bowed out due to some joint soreness. I carried on alone. Somewhere in late week 2 to early week 3, I came to the end of my session and actually wanted to CONTINUE RUNNING. I had never had that thought before in my entire 28 years. Run more as opposed to stop running? Really? It was nothing short of amazing. I’m still amazed! I also experienced what may have been a runner’s high, but again, at my pace it’d be more accurate to term it slogger’s high. I came in after a session and was bouncing around all over my house, gleeful and elated and clearly “up.” It was a truly great feeling. I registered for a 5k race the will take place just as I’m completing the C25K program. As a lifelong procrastinator and project-not-finisher, my dogged devotion to training for this race is pretty much shocking to me and everyone close to me. I apparently really want to do this! So the take-away from all this is that if you hate running and always have, you might not actually hate it if you do a really easy start on a program that is completely self-paced. It’s just you and your shoes and your phone. No coaches, no faster kids, no driving to the gym, no hassles. And! All those people you know who run “for fun” are not actually crazy, because liking running is a real phenomenon. Stay tuned for a post-race update, folks. Thanks for reading! I’m still off gallivanting in Toronto, so I asked my blogger friend Melissa to step in for me. Melissa is an amazing gal and I’m so excited to meet her when I finally make my way to San Francisco (only 31 days!). 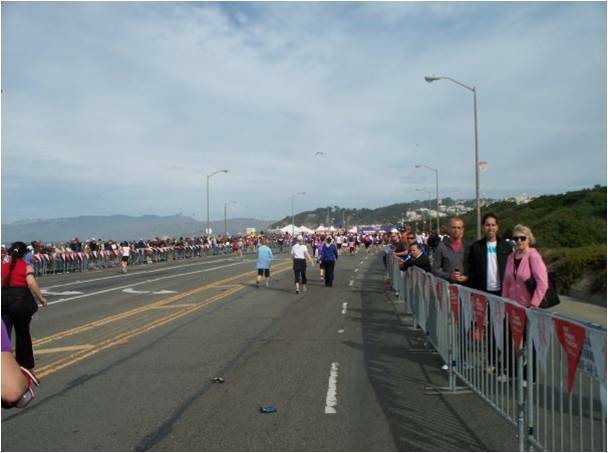 Have you ever done a half marathon? 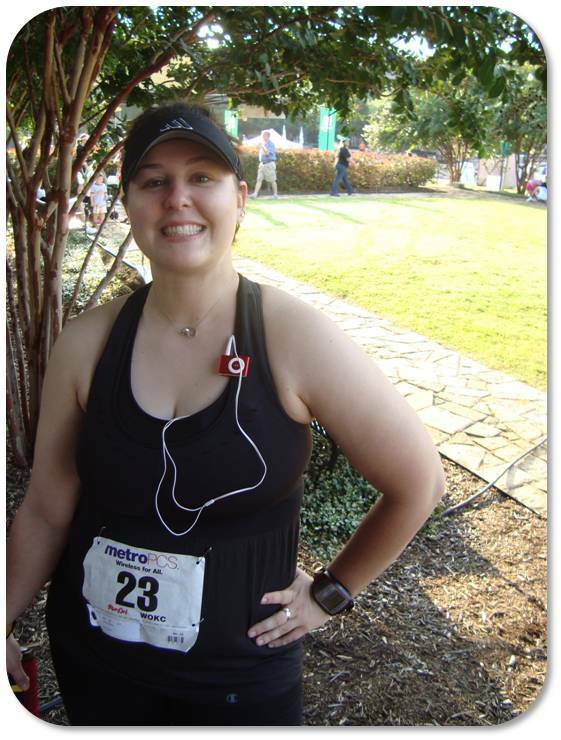 Read on to hear about Melissa’s first and her amazing journey. Hi everyone! My name is Melissa, and I’m honored that Michelle asked me to write a guest post for Running Jewess! I blog over at Journey to Marvelous about my quest to lose 100 pounds, getting healthy, eating right (or at least trying to), and staying active (again, trying to, haha)! Unlike Michelle, I’m not much of a runner…but I have walked two half marathons in the last two years! When Michelle asked me to write a post for her blog, I knew that’s what I had to write about. In May of 2009, I saw a brochure for Team in Training and their program to fundraise for the Leukemia & Lymphoma Society in exchange for training to do an endurance athletic event. 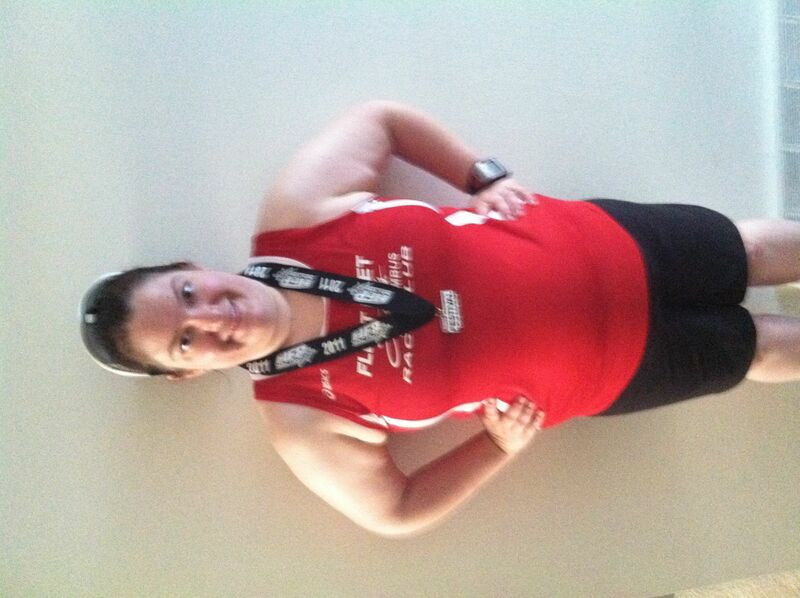 I’d never been an athlete, so training to do a half marathon seemed like an impossible task! I almost brushed it off but for some reason the idea stuck with me. Was I crazy to think that I could train to do a half marathon? As someone who barely finished running/walking “the mile” in high school, could I really train to go 13.1? I gave it some thought and decided that it was something I wanted to do. Even at my current weight, which back then was around 280 pounds, I wanted to prove to myself and everyone else that I could do it. I signed up. The training was tough! The very first day was only a 3 mile jaunt around the park—nothing by most standards—but even just walking I was winded! And I was sure sore the next day…but I kept plugging along. Week after week, the mileage increased on our training days. If I missed a week, coming back to training the next week was scary because the mileage had gone up by at least a mile or two! I remember completing a 7 mile walk and feeling so proud of myself! 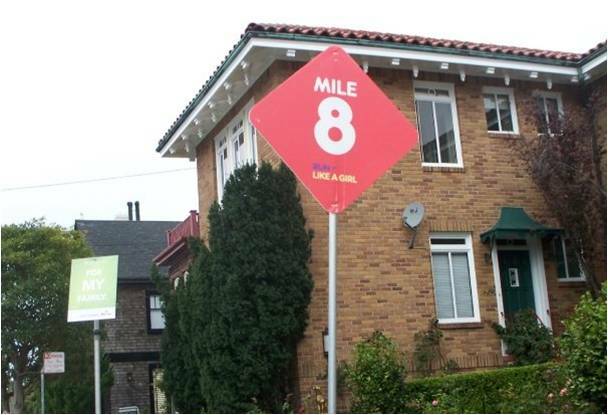 Soon it was 8 miles, then 10. When I completed 12 miles two weeks before the event, I knew I would be able to finish the actual race. That was an amazing feeling! 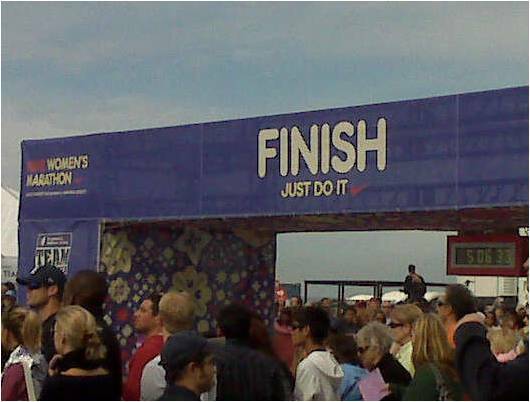 Finally, the Nike Women’s Half Marathon arrived! It was time for me to do my big 13.1!! On the morning of the race, I didn’t feel nervous at all. I was just excited to get out there and cruise through to the finish! I didn’t really have a time goal in mind…I just wanted to get there. That was good enough for me! By the time we got to the starting line, the sun was coming up. 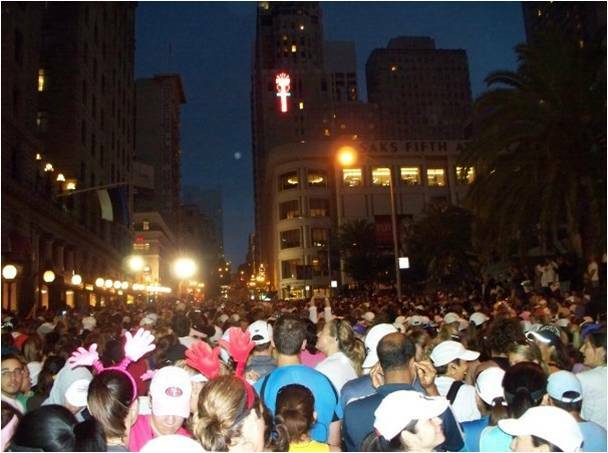 My training buddies and I cruised across the start line and around The Embarcadero. A cool San Francisco bay breeze pushed us along. 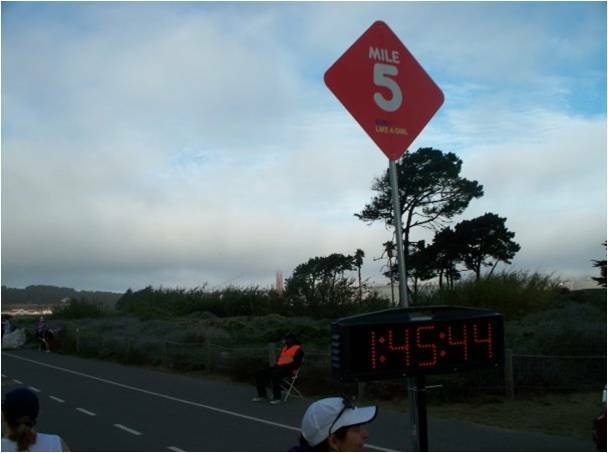 Soon we were at Mile 5! We had a lovely view of the Golden Gate and I was feeling great! We weren’t making great time, but we were doing it and that is all that mattered to me. But soon enough, the course got tougher. We started climbing up the hills into The Presidio section of San Francisco. I hadn’t trained on enough hills. At my weight, it felt like climbing Mount Everest. My knees were starting to ache and as we went uphill for a good couple of miles, I often had to stop on the side of the street and rest. Some of my training buddies waited for me, but I started to feel embarrassed and defeated. Would I be able to finish? I just kept climbing, one foot in front of the other. I was exhausted, but a great sense of determination came over me and I knew that I couldn’t let myself down by not finishing! The miles kept clicking by and soon we were on the downhill slope. We walked along the beach, wrapped around through Golden Gate Park and when we hit the 12 mile marker, I knew that I would make it. I was so excited when I rounded the last turn and could see the finish line ahead! 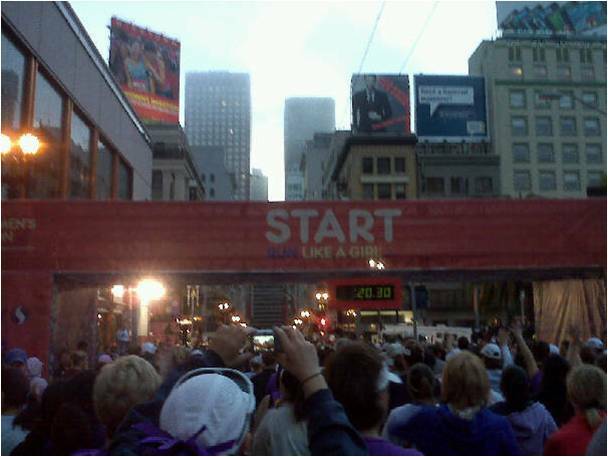 Crossing the finish line of my first half marathon was one of the great defining moments of my adulthood! 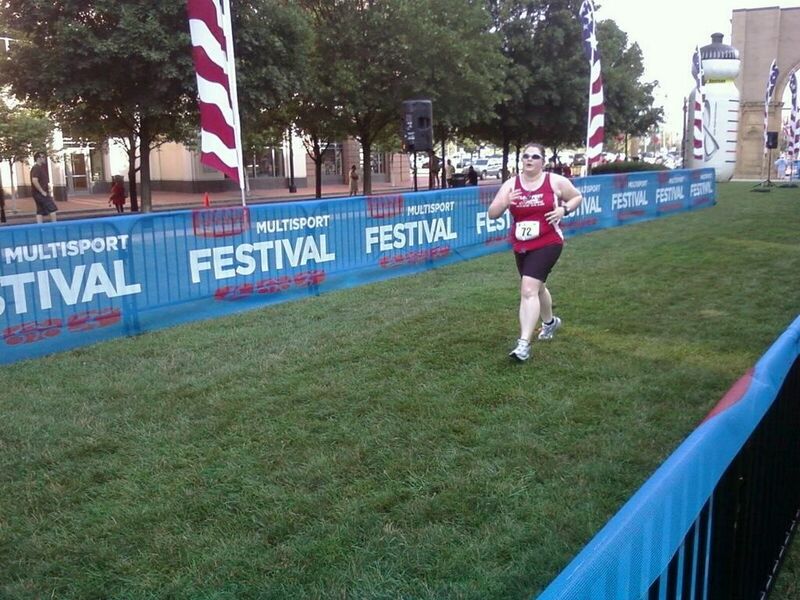 I didn’t consider myself to be an endurance athlete—morbidly obese athlete wannabe was more like it—but I had set a goal and I had accomplished it. I had proved to myself and everyone who didn’t think that I would finish (and there were definitely some doubters) that I was capable of doing whatever I set my mind to. It was such a rewarding, inspiring experience! 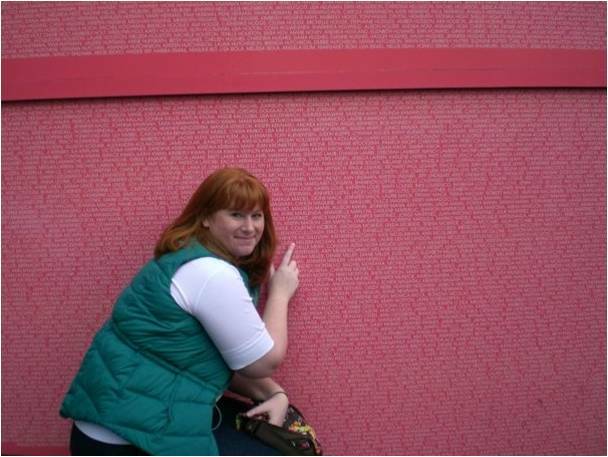 Here I am the day after the marathon, pointing to my name on the side of the Nike Store in downtown San Francisco. My name was plastered on the side of the wall for the world to see as someone who was a fundraiser—but pointing to my name that day, I was pointing at the name of someone who was a finisher. Walking my first half marathon in October or 2009 inspired me to do other things that felt impossible…like starting my weight loss journey (losing close to 75 pounds since July of 2010) and walking a second half marathon, shaving close to half an hour off of my first time! The moral of the story is…if there is something out there that seems like an impossible, daunting challenge…GO FOR IT! You never know what you are capable of until you try. It just might inspire you to do some other great things! Hey everyone, I’m currently on vacation in Toronto for the week. While I’m away, I’ve asked some of my lovely friends to step in for me. Today you can learn more about Laura, my future Healthy Living Summit roommate and one of my favorite blogger friends. I hope you enjoy reading about her goals and have a lovely week! Hi readers! I’m Laura from Becoming the Odd Duck! Like Michelle, I am a runner – but I’m suffering from a hip injury that has had me sidelined from racing for months. Even before I had to stop running, I wasn’t running well from the injury. It’s been almost a year since I’ve ran without any pain or tenderness in my hip! After months of physical therapy, prescription anti-inflammatory meds and limited exercise, I was given clearance to start exercising again at the end of June. The path to running is unfortunately not immediate. I had to begin on the elliptical, and then build my way to power walking on a treadmill. Once I have no pain or soreness while power walking, I can even attempt to run. I’m on a tight routine of heating and stretching before activity and stretching and icing after each workout. It’s basically takes a production to work out for only 15-20 minutes. I’m very much an, “all or nothing” type of person. I thrive with deadlines and goals. Having an open-ended goal of running again, “when it felt right” wasn’t exactly successful for me. I spent most of July working out on the elliptical, but not really pushing myself too hard. At the rate I was moving with my recovery, it would be months before I ran again. I decided last week my only goal in August was to run again. Even if I only ran once in August, I just wanted to run again. I decided to start pushing myself a little harder while working out and push myself through the soreness. Of course, if I have any pain (which I luckily haven’t) during activity – I stop. But the soreness, which was holding me back in July, is something I’m moving through now. Setting the goal to just run again in August has been extremely inspirational to me. But the key to completely changing my recovery process has been to add a finite goal as well. 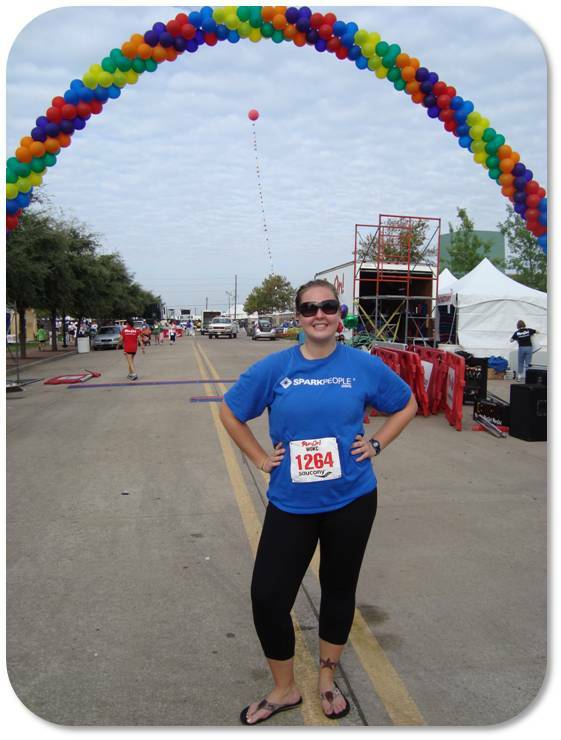 You see, the Oktoberfest 5K is a race that occurs every year here in Dallas-Ft Worth. This year the race is on September 17th, and I plan to be there no matter what. Even if I have to walk the entire race (which I hope I won’t), I will. This race was the very first 5K I ran two years ago. I ran the race last year, injured, but I still ran it. I ran the exact same course again last January for a different race and even though I was still injured, I PRed my 5K record. This race has so much history and meaning for me, and I absolutely want it to be my first 5K post injury. With these two new goals, I was able to push myself to complete a solo spin session last week. It was my first time on a spin bike since April and it was amazing. Spinning is something I previously wasn’t planning on doing until I could run again – but I did it, worked through the soreness, and was fine the next day. I’m planning to keep pushing, run at least once before the end of August and hopefully run part of the Oktoberfest race. I know I may not be able to run the entire thing and I’m okay with that. But as long as I can run part of it, it will be the best race day I’ve had in quite a long time. Having a goal and a race has always been the key motivator for me in my running career. What are your motivators when it comes to your health and your fitness?